In 2017 our Tour Tempo® VIP Golf Schools were a huge success. By success, I mean the results that we achieved with our VIP golfers. (click here to see the videos/testimonials) This was mainly due to our newly developed training tools and our commitment (really our passion) to getting the most out of your training. 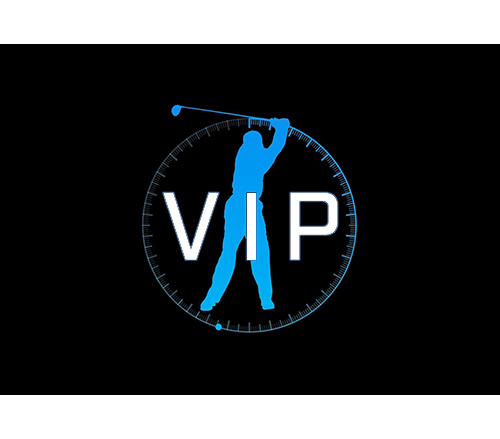 The Tour Tempo® VIP training is based on how human beings learn athletic movements, something sadly lacking in most of conventional golf training. We have identified the most important aspects of the golf swing and most importantly of all, we have developed a way to “communicate” them directly to your body. We bypass your conscious mind, because just “mentally knowing what you should do” does not guarantee that your body will be able to carry it out. 1. Tour Tempo® – The Keystone of the VIP Schools – Incorporated into all the information is an analysis of your present tempo and how to achieve Tour Tempo® for all shots on course. We have found that many minor mechanical problems with our student’s swing clear up when they get their tempo right. Old fashioned golf instruction wastes time and effort on changing these trivial items, whereas, we concentrate on the whole motion. Without getting into a lot of motor skill learning precepts and details, how this applies to you is that we have invented and patented a series of training devices that are only available to students at our schools. So what we do is take you thru a series of simple drills that employ these devices. These drills are progressive in nature – starting with the most basic motions and then building upon that to the full swing. The result of these drills is that you acquire (without using conscious thought) all the desired attributes of a professional swing by using “FEEL.” You acquire the correct Tour Tempo®, swing plane, release, and the proper use and timing of all of the muscles of the body used in the Golf Swing. That is how our VIP students have achieved absolutely incredible results in a very short period of time. As we wrapped up the season for 2017, we realized that we could take our VIP experience and ‘package’ it for Online Training. We knew from work with some of our students that we could still get those dramatic and immediate results in the Online setting. It’s the first of it’s kind, because it gives you the best of both worlds. You receive the training tools that our only available at our VIP. You get the drills/protocols that will show you specifically how to use each device for maximum improvement for your swing. Furthermore, you get the convenience of using the tools in your own home and practicing on your schedule. Yes I am pretty excited about my progress in such a short period of time. When I first started before I did any drills, my 5 iron speed was 84 and my driver speed was 100. After doing drills, I was able to get the 5 iron to 95 to 100 most of the time and the driver to 110 to 112. After John Jr. sent me a video showing me what I needed to do more of. (which was turning my hips and shoulders more) I was using all arms and very little leg drive. My speeds now are a high of 104 for the 5 iron and rarely below 100 and the driver is rarely below 112 and I hit a high of 122 yesterday and another at 120. Most of my driver swings are in the 114 to 118 range. I am 57 years old and my 25 year old son is freaking out because his driver speed is 125 and feels like the old man may catch him. The course includes our new training tools the new LagMan® and LagMan® Power Air® – these tools are only available to our VIP Students. *Not available to the general public. Sign up now and completely change your swing and golf game for 2018! • Start with the SpeedBall® drills – after learning and working with each drill, we would like you to upload videos of each drill so that we can monitor your progress. We’ll work our way through the whole program exactly this way. Once you have progressed thru all the drills, then we will make recommendations based on which drills that we both feel are the most beneficial to you. • We have shown John Jr. as a lefty in the training videos as this is what a righty would see in a mirror. If you get the drills right, the results on course will follow. We’re going to guide you through each drill to make sure you’re on the right path.